Barry Sheppard on the unlikely influence of an American radical on land reform in Ireland over the 19th and 20th centuries. The name Henry George is not normally one which is automatically associated with Irish land reform, indeed he has been all but forgotten, even by those interested in the history of Irish and international land reform. Yet at various stages his name crops up in relation to Irish land reform from the period of the Land War in the 1880s through to the 1930s and beyond, when a new period of Irish land reform gathered pace under a domestic administration. There is no doubting the impact George had upon ideas of land reform in his own lifetime, his seminal work Progress and Poverty ran through innumerable editions and translated into many different languages worldwide. His lectures throughout America, Britain and Australia on the idea of a single tax on land drew thousands of converts to his cause. However, towards the end of his life and in the decades after his international reputation practically vanished. Henry George, an advocate of radical land reform is little remembered today, but his influence in Ireland can be traced across two centuries. The name of Henry George hovers somewhere in the far distance, unfamiliar to many inside Ireland. There may be valid reasons for this. George wasn’t Irish, or of Irish stock. He did not become a martyr to Ireland’s cause. Nor did he spend much time in Ireland. It has even been suggested that in contrast with the impact he was to make elsewhere his ‘interlude’ in Ireland, was disappointing. However, particularly in the years after his death he did make an impact on the country through his theories on societal and academic levels, as well as through those he had personal influence on. 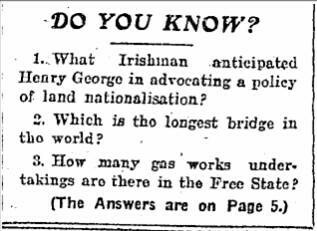 Quiz in the Irish Independent, 1929. A native of Philadelphia, George was born in 1839 into a lower-middle class family of English and Scottish heritage. As many young men of his generation, he left school at an early age to seek a fortune. He boarded a trading vessel which sailed to India, where his experiences in Calcutta witnessing large scale overpopulation and poverty would help form his later theories on the need for international land reform. His journey terminated in San Francisco at the age of 19. It was in that city he tried his hand at a number of careers before eventually finding his voice as a journalist for The San Francisco Post and The San Francisco Times. During his time working on these newspapers he witnessed the treatment of migrant railroad workers as well as land-grabbing practices of the railroad tycoons themselves, this too contributed to his land reform ideas. George’s land reform ideas came to the fore with the publication of Progress and Poverty in 1879 and his Single Tax on Land Theory. George held that the ownership of the soil belongs inalienably to the whole community, due the fact that it was created for all by God. With the use of the land under the provision that the tenant (with fixed tenure and right of transmitting to others) pay a tax on the land he uses to the community (viz., to the State) representing the natural productivity of that particular piece of land plus the extra value it may have acquired owing to adventitious causes other than the labour of the occupier. The book was slow to catch on in San Francisco, so making a move to the East Coast George hoped to find a more receptive audience. It was here that his association with Irish Land Reform began. George had a long-standing interest in international land reform as he saw land monopoly as knowing no borders. He had been familiar with the Irish case – where the Land League was agitating on behalf of tenant farmers in what was known as the ‘Land War’ – for some time. It was during his time in New York that he followed the course of Irish agitation in relation to the Land League with keen interest. Through this interest he began to associate with New York’s influential Irish-American society, particularly with those who championed the burgeoning Irish Land League in Ireland. 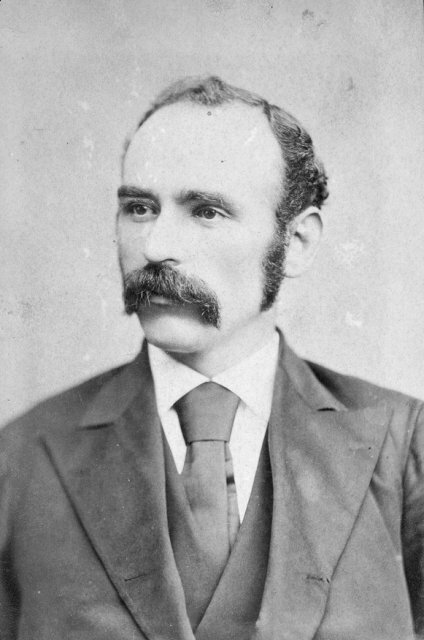 Michael Davitt, Land League leader and supporter of Henry George’s ideas. During this period George met Michael Davitt who was in the United States on a fundraising exercise on behalf of the Land League. Davitt was intensely interested in George’s ideas and promised to do what he could to push the sale of Progress and Poverty in Britain, whereas George realised that Ireland was the perfect example on which to base a sermon in favour of the single tax theory. In a letter to his friend Francis G Shaw, George told of his first meeting with Davitt. “Michael Davitt is full of the idea of popularising ‘Progress and Poverty.’ That was the first thing he said to me. He had read it twice before, and he read it twice again while in Portland [prison], and as you may see from his speeches and letters, he believes in it entirely. He says if a copy of that book can be put in every workman’s club and Land League and library in the three kingdoms the revolution will be made”. George also produced a magazine article specific to Ireland which gradually swelled into a sixty-page pamphlet. Published in March 1881 with the title The Irish Land Question: What It Involves And How Alone It Can Be Settled (later to be shortened to The Land Question to highlight that Ireland’s land problems were not exclusively Irish). The pamphlet argued ‘that in order to relieve Ireland of the abomination of rack-renting and to give the Irish people the benefits of their labour, it was necessary to spare industry and thrift from taxation and to take the rental value of the land alone for the community needs’. Under this system the labourer would keep what he created leaving the tax on the land to the landlord class. His association with Ireland would become more prominent, for in 1881 for a period of a year George was sent to Ireland to cover the Land War for The Irish World newspaper. The situation at the time in Ireland had deteriorated quite considerably, which generated much interest in Irish America. The editor of The Irish World, Patrick Ford pressed upon George that the strength of land agitation in Ireland would depend upon the acceptance of the ‘incontrovertible truth that the land of Ireland was not made for the landlord class, or any other class, but for all Irishmen’. This was an opportunity which George had ‘long waited for’ and which he accepted readily. During his period covering the Land War, George was asked to speak at a number of events. One such event was to endear him to the Irish cause of the time. On 21 November 1881 he spoke on ‘Land and Labour’ for the benefit of the Political Prisoners’ Aid Society at the Round Room, Rotundo, Dublin. This speech was warmly received, and was reportedly such a success that the committee of management were able to hand over to the funds of the society ‘a handsome contribution’. Publicity of this kind had placed George firmly in the inner-circle of the Irish land debate of the time. His reputation as a friend to the Irish people was further enhanced when was arrested by the Royal Irish Constabulary (RIC) on his journey from Dublin to the West of Ireland. The arrest generated a considerable amount of publicity on both sides of the Atlantic, with George penning a letter to the then President of the United States, Chester A. Arthur. George informed Arthur in the letter (which he had smuggled out of Ireland due to claims that previous correspondence had been intercepted and even burned) that he had been travelling from Dublin for the West of Ireland ‘for the purposes of seeing the country and informing myself as to the condition of the people’, when he was arrested and temporarily detained on two separate occasions over a two day period. 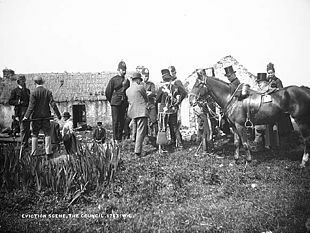 While covering the Land War in Ireland for an American newspaper, George was arrested by the RIC, which did his reputation in Ireland no harm at all. Vociferously protesting the treatment he received at the hands of the Irish constabulary, as well as that of other American citizens who had ‘been imprisoned here for long periods without trial, and even special accusation’, he caused considerable embarrassment to the British establishment. A British civil servant swiftly contacted the United States Government to express regret that the incident ever occurred. A letter from the US Government containing the British apology was reproduced in The Nation on 11th November 1882, and was a publicity boon for the Land League. During his spell in Portland Jail, Land League leader Michael Davitt got to grips with George’s theories by reading Progress and Poverty numerous times, so that when he emerged from prison, he announced that he had been won over to George’s advocacy of radical land reform ‘in what became the clearest example of the influence Henry George wielded over the Land League agitation’. This influence, contrary to some claims, was not ‘alien’, and was according to Davitt himself a perfect fit in the long struggle of Irish land agitation. Responding to a letter which appeared in the Pall Mall Gazette from ‘An Irish Nationalist’ criticising his relationship with Henry George, Davitt stated that long before Progress and Poverty was written, Fintan Lalor agitated on similar lines in the late 1840s. He further argued that the cry of ‘Land for the People’, synonymous with Georgian theory had went up with the formation of the Land League before George’s book had even crossed the Atlantic. “Davitt is all right. He believes just as we do, but he is very much afraid of breaking up the movement, and is sensitive to the taunt that he has been ‘captured by Henry George and the “Irish World.”‘ …The fact is that the line is really drawn and the split made, but not publicly. They [the Parnellites] will not budge beyond extension of the purchase clause; Davitt is for nationalisation and our programme. And the whole strength of the Land League management is to be used – in fact, it has all along been used – against the spread of more radical ideas”. However, despite his influence on Michael Davitt, who like George favoured land nationalisation and common ownership, the land league and subsequent agrarian movements in Ireland were dominated by the goal of achieving individual ownership of the land by small farmers, a goal that was to a large degree realised in the Land Acts of 1903 and 1908. Although George left after merely a year spent covering this turbulent period of Irish history, his influence went on beyond his stay, even after his death in 1897 with those who had been touched by his zeal for international land reform. In the first decade of the twentieth century, a small inner-city land movement began to take shape which owed much to the influence of Henry George, and specifically some of his like-minded contemporaries who were directly influenced by his land reform ideas. One of whom, Joseph Fels prominently took on the single tax mantle in the years after George’s death. This movement came to be known as The Vacant Land Cultivation Society in Dublin. Established in 1910, it was primarily a means of providing subsistence for poor urban dwellers who worked the land on small inner-city allotments. This organisation was succeeded by the Land Cultivation Committee in 1917 under the direction of The Local Government Board for Ireland which helped set up a drive to provide allotments to help increase food supplies during the First World War. However, the origins of the allotment movement in Ireland can be found in the United States, and can be viewed as an offshoot of George’s ideas. In the early 1890s, in a period of economic depression and increased unemployment, the Mayor of Detroit, Hazen Pingree began to promote the idea of unemployed people cultivating food crops on vacant land. Pingree was another advocate of George’s single tax theory, who, along with a number of other mayors and their advisors dominated early 20th century municipal reform in America. In the early 20th century an effort was made to implement George’s ideas in Dublin by giving disused land to unemployed workers to cultivate for food. Land in the city which had been held by land speculators was made available to the Pingree for this purpose. In the first year, some 182 ha (450 acres) of donated land was cultivated by 975 participants in what became known as the Vacant-Lot Cultivation Association. The project was an enormous success, spreading to thirty other cities in nineteen states. The American experience under Pingree would be a very important influence in establishing a similar movement in Ireland. 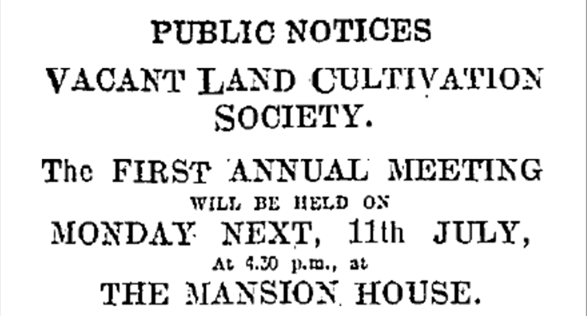 Laying the groundwork for the establishment of the Vacant Land Cultivation Society in Ireland efforts were made to inform and educate the public of the benefits of such an organisation. The Irish Independent publicised a forthcoming public lecture in the Mansion House on ‘The Cultivation of Land as a Cure for Unemployment’, which was to highlight not only the nutritious and monetary of the cultivation of these plots, but ‘the moral, physical, and intellectual advantages of such occupation for men and their families’ which were deemed to be ‘incalculable’. The meeting was addressed by one of the most qualified men in the area of urban land reform, Joseph Fels, Honorary Secretary of the Vacant Land Cultivation Society in Philadelphia. Fels was a social reformer and philanthropist who used the wealth supplied by the success of his family’s Philadelphia based soap business to promote various land reform experiments, most notably the advancement of the ideas of Henry George. George had been a tremendous influence on Fels, who by 1899 had come to believe ‘without a qualm of doubt that the master solution to society’s enigmas of unemployment, poverty, and human degradation lay in the broadest possible utilization of the land and its resources for the benefit of all’. This journey was complete by 1906 when he ‘took over the doctrines of Henry George, lock, stock, and barrel’ in relation to the single tax on land theory. Indeed, The Freeman’s Journal described Fels as devoting his life to furthering George’s single tax movement. Like Davitt, Fels promised to distribute George’s Progress and Poverty widely to advance the theories he had come to champion. Among his philanthropic exploits he funded several experimental labour colonies and vacant lot improvement projects in America and England. Fels contributed generously to this Association as well as supporting the establishment of school gardens to provide practical training to young people. An advocate of the need to rework the system of land ownership and he sought out projects such as the Vacant Lots which challenged contemporary systems of land ownership. Crucially, he also established the Joseph Fels Fund of America and a commission for its administration to bring the teachings of Henry George to fruition in North America. Fels’ introduction to Irish land affairs took place in a warmly received public address in the Mansion House in Dublin on 25 June 1909. Here he explained the idea that his scheme was a palliative for the evils of unemployment. He told the audience of his belief that it was a serious problem in Ireland that there was so much vacant land in a country with a relatively small population. Fels firmly believed, like George, that God Almighty had made the land for all the people and not just a few, and that in Great Britain, the United States and in every city in Europe large tracts of land were lying derelict which should be turned over to the people. The success of the Philadelphia experiment was held up as the example to follow, showing how a simple movement could successfully spread to a number of other cities. His message was simple, they wanted the same for Dublin ‘nothing more and nothing less’. At the following meeting a month later The Freeman’s Journal reported that the committee had received promises of land for the purposes of The Vacant Land Cultivation Society. It got a ‘sympathetic reception’ from Dublin Corporation, who promised to facilitate the loan of a large field for their purposes. They were also granted £50 from the Department of Agriculture and Technical Instruction (DATI) to employ a horticultural instructor and plots of land were lent to the Society, which prepared the ground for cultivation and provided seeds, plants and tools for plot holders. Slowly but surely the urban farming project did take shape. By December of that year twenty five men had been charged with clearing and levelling plots of land in Summer Street in the Coombe to allow for eight gardens. Further plots were later established Pigeon House Road in Ringsend and in West Road, North Strand, Broadstone, Inchicore and Glasnevin. The number of plots increased to almost 500 by 1917. (460-485 plots totalling 60 acres). Despite its modest beginning it was believed that when the Society ‘extends its work the full achievement will help substantially towards the solution of one of the problems created by the conditions of modern city life’. Of course, this scheme had its doubters, particularly among those who owned land. Just over a year from his inspirational speech in the Mansion House, Fels wrote a letter to the Freeman’s Journal to allay landlords’ fears. ‘The landlords’ in London he continued, ‘somehow feared that the poor devils would carry away the land with them when they were called on to vacate…The benevolent public had some idea they were giving money uselessly, and helping to add to the unemployed ranks. [But] our public here have quickly come to a recognition of this by the sight of nearly 500 vacant lot gardens in different districts in London only, producing food for nearly 500 families by the labour of these people themselves. The rules of the scheme required plot-holders to be in casual labour, with families depending on the produce of the plots, although, crucially, surplus produce could be sold untaxed leaving the plot-holder with any profit of his labours. Plots were granted for a year and were maintained by the plot-holder and his family. In 1916 the rent of a plot varied from 6s to 16s. Those with an eighth of an acre plot, who produced crops to the value of 2s per week had a gross return was £13 13 s 6d per year. Their Expenses were £2 5s exclusive of labour and surplus crops were sold for £9 11s 6d. However, by 1916 the scheme had deviated from the original intent of providing work for unemployed people, as many in professions had entered the expanding scheme. Nevertheless, with his initial intervention, Joseph Fels had brought in a small-scale land reform scheme partly inspired by Henry George’s land reform ideals. Two decades on from Fels’ introduction, Henry George’s ideas reappeared in independent Ireland, particularly during the era of Fianna Fáil from the early 1930s onwards. Land issues were high on the political agenda. Issues of land redistribution were on Fianna Fáil’s radar since the publication of their first manifesto in 1926. Fianna Fail’s opponents tried to tar them with the brush of communism, but Eamon de Valera’s party stressed that their social and land reform policies were based on Catholic Church teaching, particularly the encyclicals Rerum Novarum (1891) and its successor Quadragesimo Anno (1931). 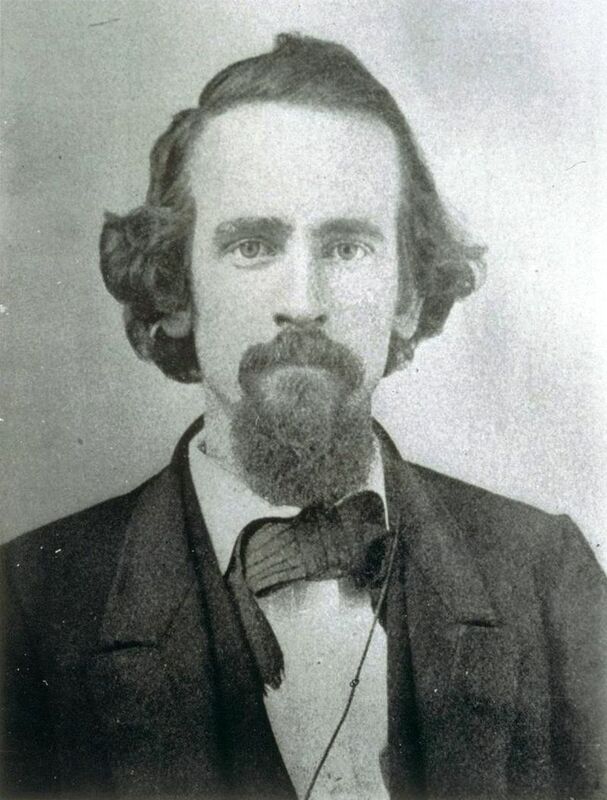 Henry George had in fact been critical of Papal documents. From the early 1930s a battle of words was played out in the letters pages of Irish newspapers relating to George’s theories, due to the social, religious and political atmosphere of the time. Fuel was added with Henry George’s Science of Political Economy being republished in 1933. A review of the book was published in The Irish Press on 30 January 1933, in which it predictably tied in George’s association with the Land League. 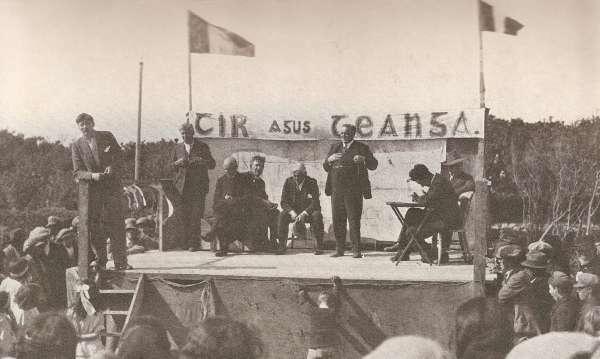 Fianna Fail embarked on a new round of agrarian reform in the 1930s but denied George’s influence, preferring to reference the Catholic Church’s teachings. It would perhaps been easy for the press to ignore George altogether in this period were it not for his previous association with Michael Davitt. In fact, whenever George’s name appeared in print it was almost exclusively mentioned in relation to his association with Davitt and the Land League. There followed in the Irish media a debate on George, his association with Irish history and his critique of Papal teaching. Even those who identified themselves as completely ignorant of the Science of Political Economy  felt the need to pen their opinions to a national audience on George’s theories, indicating the extent to which Catholic social teaching permeated Irish daily life. No one who had criticised a Papal Encyclical, even two generations previously, could avoid criticism in Irish public life in this period. The Irish Catholic hierarchy also debated the rights and wrongs of private ownership, invariably evoking the name of Henry George. The Catholic Truth Society Congress of 1935 in Kilkenny heard that: ‘If private property were abolished, personality could never be actively developed, and man would be little better than an animal’, before going on to extol the virtues of the two predominant Encyclicals to such an extent that it was claimed that the efforts of George and Davitt in nationalisation of the land only resulted in what Pope Leo XIII had championed all along, peasant proprietorship. While the language is self-congratulatory, the mere mention of Henry George would indicate that even long after his death, his theories still resonated with some, and unsettled others in positions of power and influence. Fianna Fail for their part did engage in further land reform but, as with previous land acts it was aimed at creating viable small farm owning class. One of the senior figures in Fianna Fáil in the 1930s, Sean Lemass, told the Dáil some years later, ‘I nearly fell at one time, with Henry George, for the idea of a single tax’. He did not elaborate on why changed his mind. 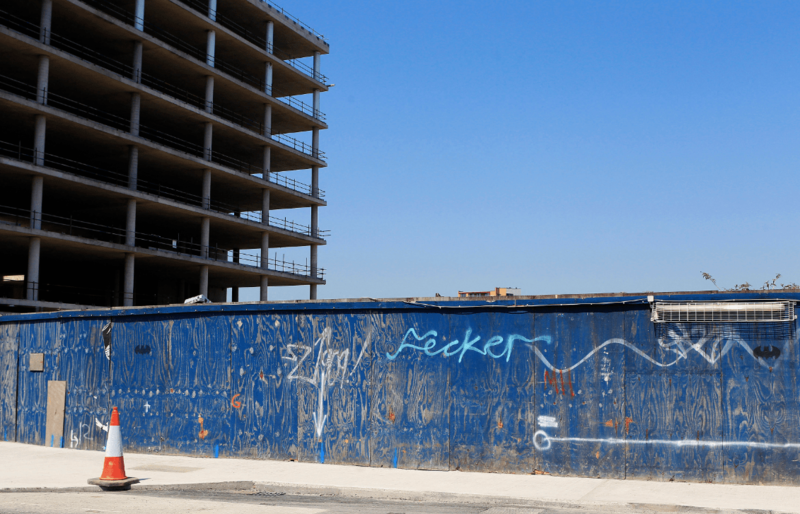 Disused land in central Dublin after the financial crash of 2008.. While Henry George as a person and as an economic theorist may have been largely forgotten by the latter part of the twentieth and twenty first centuries, (when his theory is mentioned it is dismissed as redundant), an echo of Georgian-inspired thought returned to Ireland during the worldwide financial crash of the late 2000’s. Independent Senator David Norris proposed remedies to combat the recession from 2008 onwards in inner-city Dublin, which strongly echoed Fels and Pingree. Advocating the seizure of land held by speculators for the purpose of turning them over to the ordinary citizen to use for allotments to grow and cultivate their own food in an urban environment. In 2009, Senator David Norris proposed that vacant land banks in post recession Dublin be given to the unemployed to cultivate, just as Henry George had suggested over 130 years before. Some of this country’s major centres of population are surrounded by huge land banks. At a time of high unemployment, I suggest that some of those lands should be divided into allotments for the use of the unemployed. Such people could be given a small range of seeds, implements and manuals. If we get them out of the house in this way, we might lead them out of depression. If we employ them productively in the growing of food, they may be able to supplement their incomes and improve their diets. This was not far away from what was being proposed by Fels in the early 1900s, and while urban allotments have become a feature in cities around Europe and beyond, the message of Fels, Pingree and by association, Henry George, has almost been forgotten. Ireland was but one of the countries where Henry George found a willing audience for his radical theories. Indeed, it was the first. Yet many say his time in Ireland was disappointing. It is true that he was only there for a year when he was covering the Land War. However, in this short time he made a significant impact. He relayed the efforts of the Land League to a receptive and influential audience in Irish-America, while at the same time selling his theories to those within the movement who favoured land nationalisation. Of course, not all within the Land League were receptive to George’s theories nor his influence on certain key members. His theories were essentially anti-elitist, and destined to upset the more conservative elements of the League. In his lifetime his theories caused a split between the radical and conservative elements of one of Ireland’s most important popular movements. In death, his theories still had the power to upset different set of Irish elite decades later. The elites of independent Ireland, under a degree of clerical influence could not simply ignore him due his association with the hero Davitt decades before. Nevertheless, it would have been virtually impossible for him to promote George’s ideas in a Government which had such a close relationship with the Encyclical George had so publicly criticised. Georgian theory did make a comeback in Irish academic circles, thanks to the ‘rebel and economic visionary’ Raymond Crotty, who compared the experience of finding George’s work with discovering a new planet. However, as somewhat of a rebel academic himself, Crotty never made a significant impact outside of academic circles in relation to Henry George’s theories. While his influence naturally waned after he physically left the scene, his periodic reappearances through his theories, the elites he ruffled, and those associates who pledged to carry on the spirit of his work, Henry George had an impact on land reform decades after his death. That he was for all intents and purposes and outsider makes his impact even more impressive. It is also his status as an outsider which has also kept him on the periphery of Irish history. Michael Silagi and Susan N. Faulkner, Henry George and Europe: Ireland, the First Target of His Efforts to Spread His DoctrinesInternationally, Disappointed Him, in, American Journal of Economics and Sociology, Vol. 46, No. 4 (Oct., 1987), pp. 495-501. E. Cahill, The Framework of a Christian State, (Dublin, 1932), pp 302-303. R. Bionaz, Streetcar Politics and Reform Government in Cleveland 1880-1909, in Ohio History Vol. 119, 2012, pp 5-29. Birnie, Single Tax George, p. 84. The Nation, 26 Nov 1881, p. 5. Nation, 7 October 1882, p. 6. Nation, 11 Nov 1882, p. 7. M. Gaffney, Repopulating New Orleans, Economic Education Bulletin, Vol. XLVI, No.6, June 2006, p. 3. M. Forrest (2011) Allotments in Dublin 1900–1950, Irish Geography, 44:2-3,pp265-290. Mary Forrest, Allotments in Dublin, pp12-13. NAMA was established in December 2009 as one of a number of initiatives taken by the Irish Government to address the serious problems which arose in Ireland’s banking sector as the result of excessive property lending. 2 Responses to "‘Progress and Poverty’ – Henry George and Land Reform in modern Ireland"
Henry George’s analysis of political economy is experiencing new attention from both scholars and public policy analysts. Economists who have utilized George’s analysis of how land markets drive business cycles were among the few who forecasted the 2007 financial and property market crash (see Fred Foldvary and Mason Gaffney from this group). As a market analyst for much of my professional life, I came to appreciate the value of Henry George’s presentation of the “law of rent” and its effect of urban land prices, on land hoarding and on land speculation. What is most surprising to me is how the people of Ireland have failed to solve the land problems that plagued the nation for centuries. Henry George’s proposal for the societal collection of the rent of land would have achieved much for the Irish people.